The EZ Taxi drivers and management team works hard every day in order to ensure that all customers are served as soon as possible. 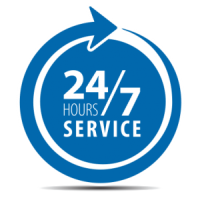 Along with providing 24/7 service to cater to your needs, we have several qualifications and skills that help us to serve you better. All of the EZ taxi drivers are equipped with excellent customer service skills along with special First Aid training, to ensure that all customers are safe at all times. Moreover, all of our vehicles are clean and kept tidy by all of our drivers. For over a decade now, the EZ taxi team has been providing Georgetown, Acton and surrounding areas with exceptional service. Whether it's a ride a few blocks away or a trip to the airport, the drivers are always ready to assist you in any way possible. Refer to the gallery to view some of our achievements over the past several years.